Okay, Microsoft. You had your fun fling with ARM processors, serenading your newfound love with glitzy dubstep ads full of creepy dancing schoolgirls. Thin and light tablets packing a—gasp!—free version of Office? Freedom from Intel and AMD's x86 processors? Sanctity from traditional Windows malware? How dreamy. But the honeymoon is over, and reality ain't happy with the frivolous romp. Thursday, Microsoft announced that it took an accounting hit to the tune of nearly $1 billion—yes, with a B—thanks to the steep discount it had to apply to the millions of Surface RT tablets lying around unsold. The dream has become a nightmare, and not just for Surface. Microsoft, it's time for Windows RT to take a vacation. The writing has been on the wall for Windows RT for a while now, but this week really crystallized that its time is not now. By all accounts, the Surface RT was the star of the Windows RT show. In fact, stats from AdDuplex consistently showed it as the best-selling Windows 8/RT device period—but that doesn't mean it sold well from a pure numbers standpoint. 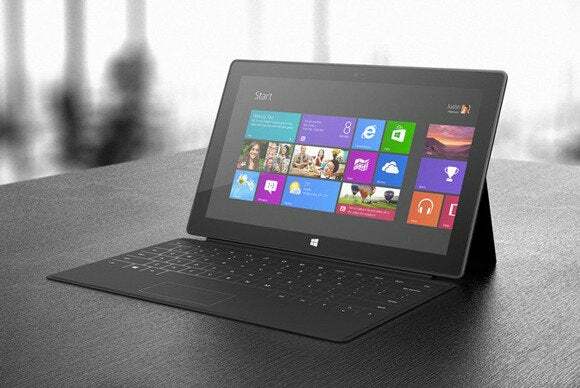 After Microsoft moved a reported 900,000 Surface RT tablets alone in the fourth quarter of 2012, IDC reported that all Windows RT tablets combined only managed to ship 200,000 units in the first quarter of this year. Yep, the Surface RT is sinking fast. That's bad. Nope, that's horrible. But while Surface RT is the juggernaut when it comes to ARM-powered Windows slates, it's not the elephant in the room. That distinction goes to just how fervently third-party manufacturers are avoiding Windows RT. Lenovo's Windows RT hybrid is gone, replaced by a Windows 8 model. Many of the biggest names in PCs have taken a pass on the operating system: HP, Samsung, Acer, and Toshiba all respectfully (or not-so-respectfully) bowed out of this particular race. Even some tentative early supporters are starting to pull back. Lenovo unceremoniously dumped the RT-sporting IdeaPad Yoga 11 this past Wednesday, mere weeks after launching the IdeaPad Yoga 11S, which took the original Yoga 11's superb physical design and imbued it with an Intel Core processor and the full-blown version of Windows 8. The few Windows RT tablets left are all getting steep price cuts, from the Surface RT to the Dell XPS 10 to the Asus VivoTab RT. Nope, iTunes isn't coming to Windows RT anytime soon—and it’s not the only big-name software missing. And who can blame the manufacturers for fleeing? Windows RT simply isn't a compelling option right now. It doesn't run classic desktop programs, only modern-style Windows apps—and the Windows Store still doesn't have anywhere near a full catalog of apps, despite recently hitting the 100,000 app milestone. There are still glaring Windows Store no-shows. Major software developers have been as slow to support Windows RT as hardware manufactuers. Windows 8.1 will make the modern UI more useable, but that doesn't change the fact that it's still so new and different. The mixture of “different” and “no apps” isn't one destined for stardom. "But wait!" you shout at your monitor, no doubt shaking your fist. "You just argued that Windows RT is crucial for the Windows ecosystem even if its sales stink, Brad!" I did! And it is! But here's the thing: Windows RT's mere existence is the boon, not the tablets themselves. Windows RT is important, but actually selling Windows RT hardware is not. The threat of ARM infiltration prodded Intel and AMD into creating much more energy efficient x86 processors, and tablets running on Clover Trail+ chips now offer full desktop software compatibility with all-day-plus battery life. Clover Trail's impending successor, Bay Trail, promises just-as-long endurance with much better performance, while Intel's flagship "Haswell" Core PC processors were built with a focus on energy efficiency. The availability of long-lasting, fully backwards compatible Windows 8 slates puts an even bigger damper on Windows RT's prospects. 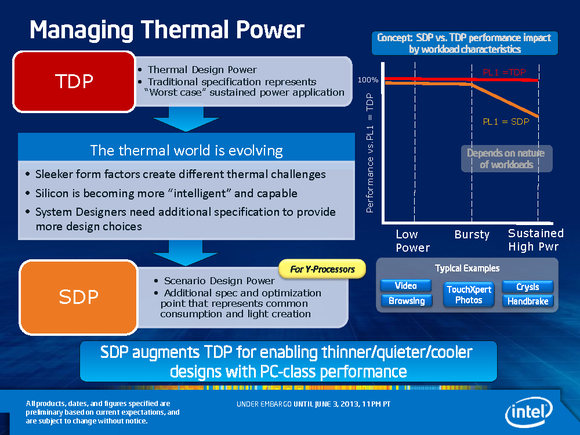 Intel has come up with a new thermal specification for CPUs that will operate in tablets and notebooks with detachable displays. Likewise, ARM support is now baked into the modern UI, right alongside x86 compatibility. Any modern-style app will run on both types of processor just fine. Meanwhile, the modern UI and apps run on the Windows Runtime application architecture, a variant of which also powers Windows Phone. Microsoft makes no bones about the fact that Live Tiles are its future, a dedication driven home by CEO Steve Ballmer's decision to unify all OS development within a single division under the One Microsoft umbrella. The biggest benefits Microsoft gained from Windows RT—ARM integration and better power efficiency—occurred at its genesis, not from its day-to-day sales (or lack thereof). Microsoft's all-in, but Windows RT needs a time out. All this points to one thing: Microsoft should call time-out for Windows RT. Microsoft definitely needed to create Windows RT. The company was on the verge of missing the tablet train completely. It needed to keep Intel honest while broadening its technical horizons to embrace ARM. The Surface RT was the first Microsoft-made PC. I could go on. But now that the creation is done, it's time to pull back and let the concoction bake. Windows RT doesn't make sense right now. Nobody wants it. Intel's latest mobile processors rock battery life that rivals the endurance of ARM chips. The modern UI is still in its infancy, and Windows RT's entire existence revolves around an app store that's still relatively barren. Meanwhile, reports of high Surface RT return rates abound. The headlines are filled with articles about billion-dollar Surface RT write-offs and manufacturers fleeing the OS. Nothing good is being said about Windows RT. The brand—and the very concept of using the modern UI as an exclusive computing interface—is being damaged irreparably, and for what? Windows RT tablets aren't selling, and from a strategic standpoint, Microsoft has nothing to gain by letting the horror show continue. Putting Windows RT on hiatus would give Microsoft time to nurture the Windows Store and more closely connect RT with Windows Phones. It's time to yank Windows RT. If Microsoft blazes the trail and lets the Surface RT fade away, third-party manufacturers will follow suit. And rather than being a disaster, a lack of available hardware would only give Windows RT room to grow, as odd as that may sound. The vocal complaints about the OS's neutered nature would cease, as it wouldn't be in the limelight. But that doesn't mean Windows RT development would stop. Far from it! Since the modern UI is also found in Windows 8 proper, its wrinkles would continue to be smoothed out over time. More importantly, the Windows Store will continue to fill with apps that work on ARM and x86 processors alike, especially once a critical mass of PC users inevitably upgrade to Windows 8. Time could heal Windows RT's early wounds. After the modern UI and the Windows Store have a few years to blossom, Microsoft could reintroduce Windows RT in a much more viable form than it is today—one less conducive to complaints and returns. And, until then, Microsoft could stop swirling fruitless billions down the drain. Sources have told PCWorld that the Surface RT isn't dead, nor should it be in the long run. But for its own good, Windows RT should definitely take a short-term break.